Metamaterials, designer electromagnetic materials comprised of subwavelength elements, can manipulate electromagnetic radiation into spatially- and frequency-diverse patterns. In addition, dynamic metamaterials can be tuned with an external stimuli, allowing their characteristics to change in real time. Dynamic metamaterial antennas (MMAs) have emerged as a viable option in radar imaging systems. Synthetic aperture radar (SAR) utilizes a moving antenna platform to increase resolution over standard radar without the hardware burdens of a large aperture. Beam steering methods can further increase resolution. On current SAR systems, beam steering is generally achieved through a mechanically gimbaled antenna or a phased array of antennas. While phased arrays overcome the bulky nature of a mechanical gimbal, their cost, power draw, weight, and complexity are problematic for systems such as spaceborne SAR imagers. Dynamic metamaterial antennas can achieve the beam steering necessary for increased resolution while maintaining a fairly low-cost, lightweight, low-power design. Here we have demonstrated SAR imaging in the X-band using a commercially available dynamic metamaterial antenna. Metamaterial antennas also have the ability to go beyond standard SAR imaging using their diverse beam patterns and adaptive beamforming. A potential application is aberration correction in microwave imaging systems. For example, a dynamic metamaterial could act as a feed for a large parabolic reflector in a spaceborne imaging system. Defects that may arise in the reflector due to thermal fluctuations, mechanical stress, or other system errors can be corrected for as they arise by optimizing the MMA beam pattern, similar to the technique of adaptive optics. We have shown a proof-of-concept demonstration of aberration correction in a SAR imaging system by steering the MMA beam to avoid a crack in a reflector in the imaging system. In addition, MMAs could utilize their spatially- and frequency-diverse output beams to increase resolution over standard SAR imaging approaches. In traditional SAR methods there is a trade-off between high resolution using a small aperture and the signal-to-noise ratio decrease incurred by the resulting large beamwidth. By sampling the scene with several smaller sub-beams, orthogonal in either frequency or time, both resolution and signal-to-noise ratio can be enhanced over standard SAR imaging methods while increasing the total image size. We have implemented this enhanced resolution stripmap mode SAR in our laboratory system and have indeed seen improved resolution and larger imaging area over standard SAR methods. While our experimental demonstrations have been proof-of-concept to this point, we believe they lay the groundwork for future microwave imaging systems using novel imaging modalities leveraged by dynamic metamaterial antennas. 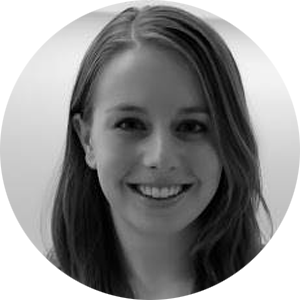 Claire Watts is currently a post-doctoral researcher under Prof. Matt Reynolds in the University of Washington Electrical Engineering Department. Claire received her B.A.S. in physics from Colgate University in 2010 and her Ph.D. in physics from Boston College in 2015. Her thesis work focused on novel ways to use metamaterials in millimeter-wave, THz, and infrared imaging systems. She wrote a first author publication on THz imaging with metamaterials that was published in Nature Photonics and featured in their “News and Views” section. She published a first author review article on metamaterial electromagnetic wave absorbers that was featured on the cover of Advanced Optical Materials and currently has over 300 citations on Google Scholar. She gave an invited presentation at the Terahertz: Opportunities for Industry Workshop in Lausanne, Switzerland in February, 2015. At UW, Claire continues to image with metamaterial devices and has successfully set up a laboratory X-band synthetic aperture radar (SAR) imaging system using a dynamic metamaterial antenna. Here, she implemented novel imaging techniques to increase resolution over standard SAR imaging leveraged by the beam steering capabilities of the metamaterial antenna.